It seems like old history now — to those who even remember it happened — but the Kansas City Chiefs were supposed to have rudely shut the New England Patriots’ championship window and unceremoniously ended the Tom Brady-Bill Belichick dynasty about four and a half months ago. 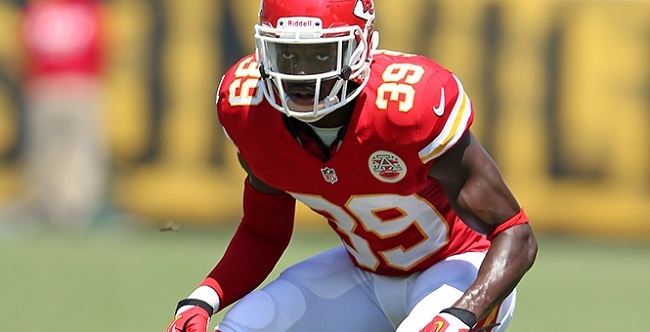 Way back on September 29, 2014, the Chiefs routed the Patriots 41-14 on “Monday Night Football.” Husain Abdullah played a significant role that evening. 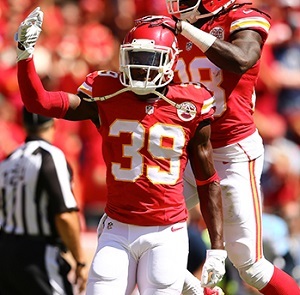 The 29-year-old defensive back led Kansas City with eight tackles, and in the fourth quarter he put the cherry on top of the blowout with a 39-yard interception return for a touchdown. Upon crossing the goal line, Abdullah slid on his knees in what appeared to be a celebration. When he came to a stop, however, Abdullah put his head and hands on the ground in the Islamic sajdah prostration. An official flagged Abdullah for unsportsmanlike conduct, sparking a quick and heated backlash among fans and media members on social media. It seemed like a clear case of religious discrimination: A Muslim NFL player was penalized for prayer, while Christian and Catholic players prayed and signaled to God and the heavens all the time with no penalty. The following morning, the NFL officially stated that Abdullah should not have been penalized since NFL rules allow religious gestures. But that wasn’t the biggest story to come from that game. The loss to KC had dropped the Patriots to 2-2, and there was a real debate over whether or not New England’s run as one of the league’s elite teams was over. Brady the quarterback looked like he was too old, and Belichick the head coach looked like he had no answers. Fast-forward to Feb. 1, 2015, and Brady and Belichick were celebrating their fourth title together after beating the defending champion Seattle Seahawks in Super Bowl XLIX. As for the Chiefs, their season probably peaked with that Monday night victory. Kansas City finished 9-7 but missed the AFC playoffs. Abdullah finished third on the team in total tackles (71) and pass breakups (10). The INT against New England was his only pick of the season. HA: I’ll go back to my childhood, and my dad would always tell me it doesn’t matter how talented you are, how athletic you are, “If you’re not coachable, you won’t succeed.” It related to everything we did in life. Even going to Wazzu, I was a lowly two-star guy, and they’re bringing in this JUCO All-American or this #1 Safety; I’m still beating these guys out because they feel because of their natural, God-given gifts, they’ve arrived and they don’t have to do anything else. Working hard, being able to be coachable, and being respectful … that’s taken me a long way in life. HA: Man … I’ve never thought about that. I would say coming to the NFL (from college). Not for football reasons, but for business reasons. People from the outside looking in don’t see it, but for people playing the game, the business is on your mind constantly. There’s a bunch of good players, but not everybody can make it on the team. There’s a 53-man roster. You may be good enough, but they might have to keep an extra tight-end. All of that stress, on top of, you know, normal life. HA: … at any given time. I remember it was like Week 13 or 14 when I was playing for Minnesota, I was the leading special teams tackler by 10-12 tackles. I remember going to one practice, and my body was hurting and I was just trying to get through the day. All the vets were just trying to get to Sunday. I remember one of the coaches said to me, “Hey, you know this is week-to-week, right?” So even when you try to get away from the business aspect, that’s exactly what it is…a business. There are people out there playing that miss a tackle and think “That’s it, they’re gonna cut me.” Or guys that will score a touchdown and bring that to the table and ask for $1 million instead of $700,000. That was probably was the biggest adjustment. Everybody knows that the guys are bigger, stronger, faster, more intelligent … all of that stuff. But that business side … man, that’s a beast. HA: Just think about it. Think about the people who are some of the all-time greats at their positions. There are guaranteed Hall of Famers … and [teams] are releasing them. If they’re doing that to those guys, just think about a guy who is an undrafted kid out of Washington State who plays special teams. You’re really expendable. In 2012, Husain and his older brother Hamza Abdullah, then a defensive back for the Arizona Cardinals, voluntarily walked away from the NFL to make the hajj pilgrimage to Mecca. After completing the fifth pillar of faith in Islam, the brothers went on a tour of mosques and masjids across America, speaking to kids and community members. Making the pilgrimage was a risky move regarding their football careers: Husain was signed by the Chiefs for the 2013 season upon his return, but Hamza has not played in the NFL since. AM: Regarding fasting during Ramadan … aside from prayer, are there any mental exercises you do to get you through those 90 degree days where you can’t take even a sip of water?